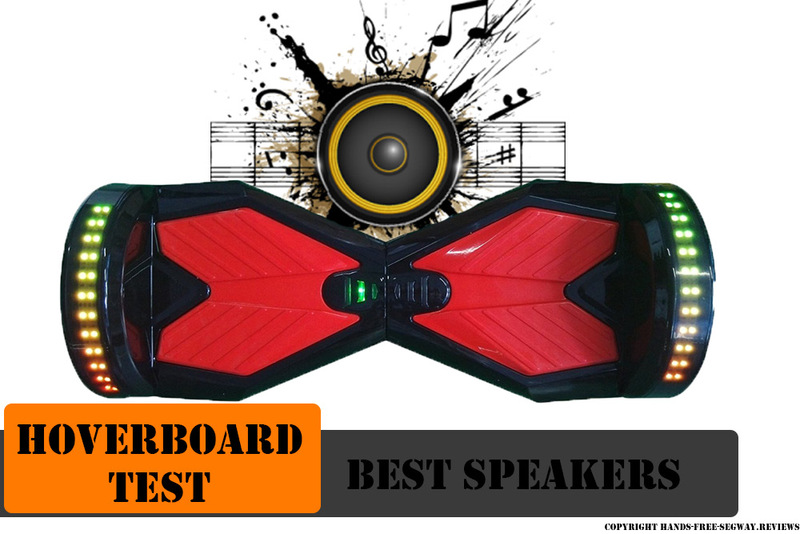 We have tested the top reviewed hoverboards in order to find out which one has the best Bluetooth and speakers. Now we will give you the winner of these musical self-balancing scooters. But before we do. 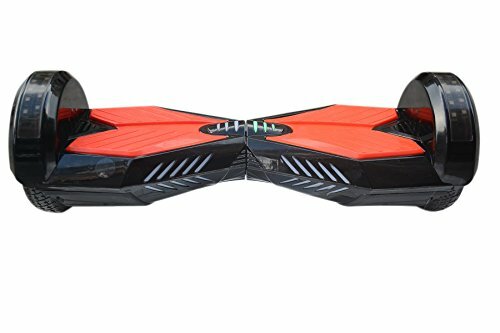 Who might want these hoverboard with speakers? The ones who seem to be searching for a hoverboard with the ability to play music via Bluetooth straight from their own mobile phone. These customers are fairly young, the younger the person the more technical features they want to have on their scooters. 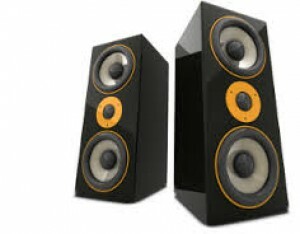 But we totally agree, we have actually tested a few devices with Bluetooth and speakers on them before setting of on the quest to finding the best one. They always seemed to lack in a few other areas and the price tag was so much higher only for these, (let’s be honest) quite simple features. These days you want every device to be hooked up with each other and there are no exceptions when it comes to the hoverboards. I wonder how long it is going to take before we see these hoverboards with a GPS and a voice telling you where to turn. This would be a fantastic feature on one of these scooters and perfect for renting companies renting these self-balancing boards to the public/travelers who like an easy free way to explore a new city, or state for that sake. Then it hit me, this is already available to every single hoverboard that has a Bluetooth connection and built in speakers. Silly me who thought I was thinking outside the box when I’m actually still stuck inside. 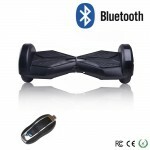 The bluetooth function might press the prices up a bit, but if you can compromize the speed and distance a bit you can find a relatively cheap board with bluetooth also. At first you might feel a bit distracted by the music. So choose to either have it off or just turn it down a notch so that you can easily focus since you have to be focused in the beginning when learning to use these devices. After you’ve gotten the hang of it you won’t have any problems going with it at max volume. 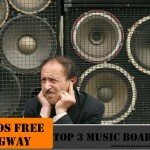 Don’t wake your neighbors or make people on the street annoyed. Respect your fellow pedestrians. 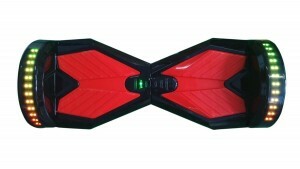 The SmartGear hoverBEATS hoverboard segway. It is far superior the other scooters we tested when it comes to sound quality, volume and a Bluetooth range which is 18ft. It has the highest top speed of 8 mph and we rode it for 12.5 miles before we emptied the battery completely. It then took us 1 hour and 20 minutes to get it fully charged again which is very fast. It comes from a trusted U.S company with 11 years of experience in the toy industry, Smart Gear has a customer service and warranty you won’t find in any of the Chinese brands. Thus giving you a completely comfortable and safe purchase. 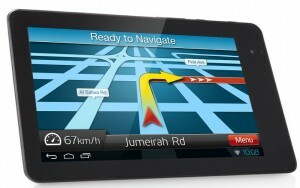 The device is shipped from within the USA. We received our package within the 10 days time frame. We have had no accidents and the product itself is fully functioning even though it has been pushed to its limits during our extensive testing which you can read more about in the full review of HoverBEATS. 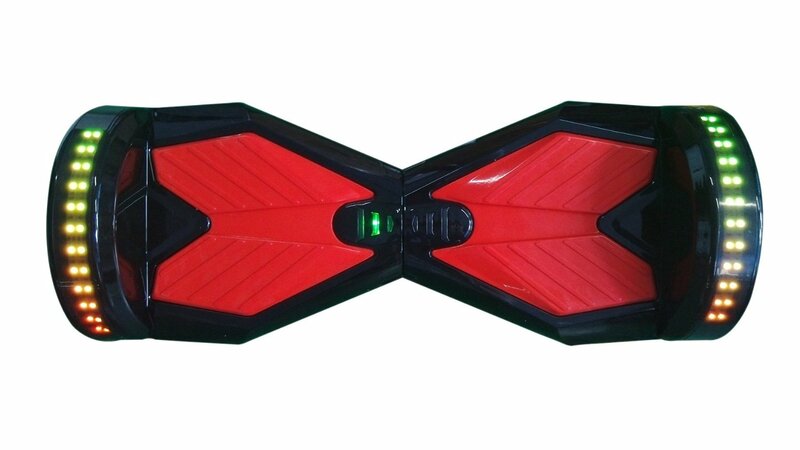 We highly recommend the HoverBEATS if you are looking for a hoverboard with Bluetooth and speakers. Max Distance: 12.5 miles Top Speed: 8 miles per hr Recharging Time: 1-1.5 hrs Battery Quality: 36V/4.4AH Lithium Battery Max weight: 231lbs Device Weight: 20lbs (lightest model) Package contains: Charger, User manual, Package box & a Carrier bag.